The bulletproof vest is an important component for protection against attack, used extensively by security personnel and military. 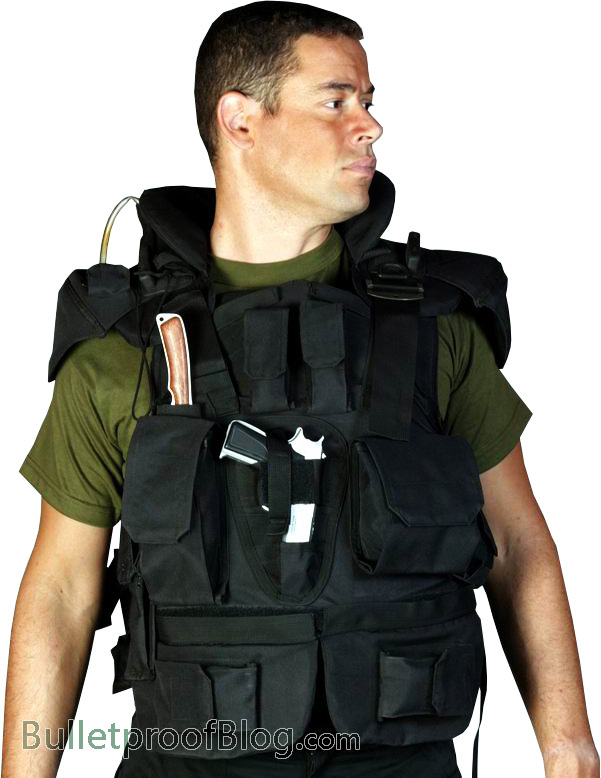 The ballistic vest is designed to absorb the impact so that the body stays protected by the whack of a bullet or a weapon attack. The bulletproof vests are generally sported on the torso. It is very critical to select a body armor that is created in conformity with the standard protection levels. There are a variety of ballistic protection grades, but the most important authority belonging to the United States is the National Institute of Justice (NIJ) and the Centre for Applied Science and Technology (CAST), belonging to the UK Centre. These two authorities are looked upon as leaders in the world whenever the question of standardizing body armor is discussed. The authorities are working in conjunction with each other, which means that the ballistic vest, meeting the set protocol of one, will surely be held acceptable by the other. The guideline by these authorities clearly mentions the dangers that will be protected by each level of the ballistic vest and the level of the strike the vest will be able to stop. The bulletproof armors are made to prevent loss of life in case of a ballistic threat, which can happen with the impact of a high or low-frequency bullet. There are two varieties of bullet proof armors extensively used. The first one is the soft armor that is created for prevention against small artillery like a handgun. The second one is the hard armors, designed for protection against high caliber artillery. The NIJ divides armors into different levels based on their level of protection and features, and accordingly, the level is selected. The CAST authorizes the stab proof vests, which are created to prevent any attack against spiked weapons. These vests come in different resistance levels and the level of protection is determined by the features each possesses. Like the bulletproof vests, these vests also need grading for the sake of authenticity and maintenance of standard guidelines. Moreover, the bullet proof vests are supposed to undertake various levels of testing to ensure proper quality is maintained. The producers of fiber examine the material and test the tensile strength to reach the level guided by authorities. The National Institute of Justice finally clears the vests, which successfully pass their protection tests.